Mr. Sierakowski was born and educated in Hertfordshire, before moving to London to study medicine. He graduated from King’s College London in 2003 and began his specialist training in Plastic Surgery in 2007. Over the next eight years, he gained experience working in some of London’s most renowned plastic surgery units and the world class St Andrew’s Centre for Plastic Surgery and Burns at Broomfield Hospital, Chelmsford. His training culminated in the award of full accreditation in Plastic Surgery by the Royal College of Surgeons, FRCS(Plast). 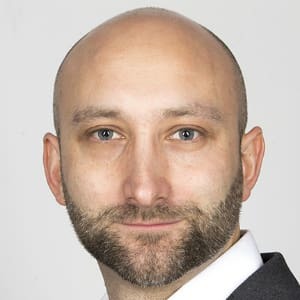 Mr. Sierakowski is an NHS Consultant Plastic and Reconstructive Surgeon at the St Andrew’s Centre for Plastic Surgery and Burns at Broomfield Hospital, Chelmsford. He is Lead Consultant for Plastic Surgery Trauma, caring for patients requiring complex reconstructive surgery from all over Essex and beyond.